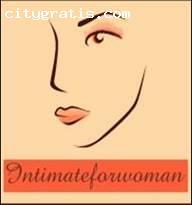 Soon we will proceed to the opening of an exclusive space for women who wish to find all kinds of relationships. Unlike other pages where pledges to offer the best service are lost by giving prominence to the monthly fee, from our website want to get away from all that and start promising you 100% efficiency on the option that you select. From a long-term relationship, the search for a friendship or a casual encounter, our pledge to establish a close relationship with you will lead to a common success. We will not understand not conclude our work until you have not found the person you are looking for.This means that your only you will pay a single payment, but you must never proceed to renewal. Our intention is to provide you with what you are looking for with the greater possible rapidity. We will open a gabinet of Psychology where a psychologist will advise you at all times.Although it is true that this is an option that leave it to your discretion. Our system of work claims to have a complete monitoring of the relationship that you have initiated, so you will need to contact us to communicate how have been your meeting.In this sense also leave you select the information you want to give us, but it is good that are not lost details of someone who has not had a proper behavior. We have selected this method because only so you will ensure the best matches. When you visit our website you will see that we have selected a few exclusive products to highlight your beauty and femeninity.This is not only a proposal commercial,we claim to create a space to take care of yourself, and we believe that selected these products you will go creating an exclusive image for the moments in your privacy.